Have you ever considered or questioned what therapy can do for you? People are more often than not afraid or skeptical about seeking help for mental-illness or emotional distress. The myth around seeking help from the psychology field steams from the self-stigma behind mental illness and help-seeking. “Self-stigma is defined as the reduction in a person’s self-esteem or sense of self-worth due to the perceptions that he or she is socially unacceptable.”Self-stigmas prevent many people from appreciating and allowing therapy into their lives. Unfortunately people tend to associate therapy as a waste of time because they do not understand how useful and important psychotherapy is in changing dysfunctional behavior and promoting health and well being. When battling against self-stigmas, research has shown that the Self-Affirmation Theory is a good place to start. The self-affirmation theory is fundamentally based on the perception that when, “individuals are motivated to maintain a global sense of self-worth by holding on to favorable self-conceptions and positive beliefs that one is a competent, adequate, and stable individual” a person can become more receptive to otherwise intimidating ideas. When motivating someone, or one’s self, in this way, it opens the path to accepting new concepts that can potentially threaten the self-image. By lifting self-esteem we can help someone or one’s self understand the delicate and controversial subject that is psychology and seeking help. 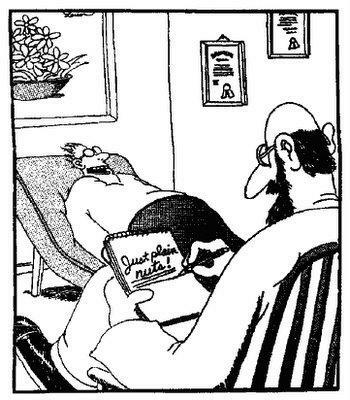 Therapy has a rather arguable reputation. However, it has helped and continues to help countless people that are brave enough to seek psychological help and embrace the research that many professionals have worked on to help their fellow human beings.